Civil rights attorney Nia Brown joined the team this month as the Manager of Education and Advocacy. In this role, she develops and supports Georgia Watch’s consumer education and advocacy work in the Health Access, Consumer Energy, Financial Protection and Access to Civil Justice Programs. A graduate of Emory University School of Law and Spelman College, Nia has a background in social justice, with a focus on civil rights. 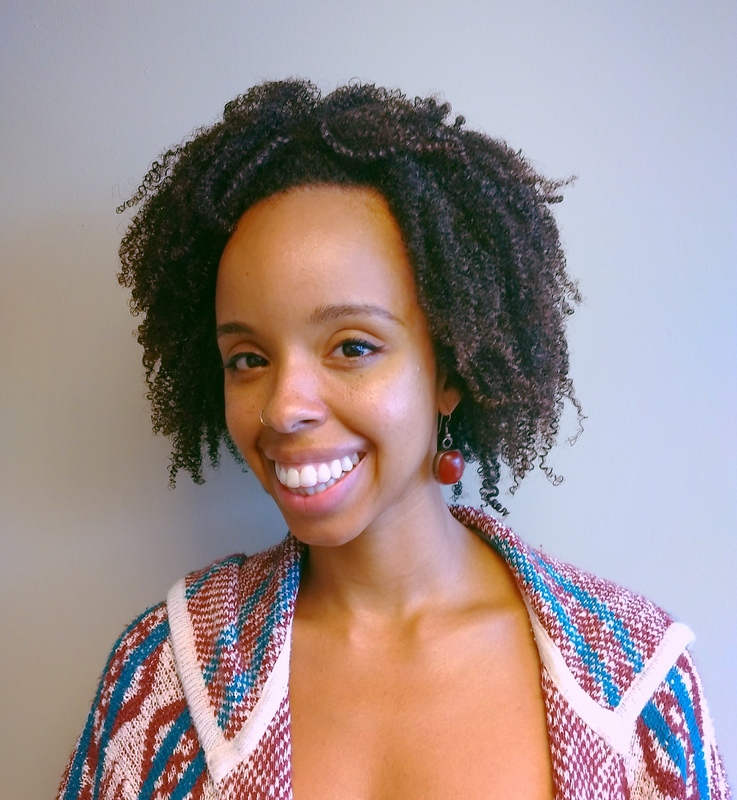 Prior to joining Georgia Watch, she served as the Policy and Advocacy Manager for YWCA Evanston-North Shore near Chicago where she led organizational advocacy focused on gender and racial equity. Nia was drawn to Georgia Watch because of the organization’s long history leading the fight for consumer rights, civil justice and financial protections for all Georgians. She is excited to use her talents to advocate for equity in the areas of housing, healthcare and energy. In 2011, Shelby B. from Rockdale, Georgia took out a car title loan for $1,700. Four years and $5,400 later, she finally made her last payment. Shelby, like many Georgians, took out a small-dollar loan and suffered financial consequences that far exceeded her expectations. "They get you in there by making it seem so easy," Shelby said. "I was in a place in my life where I needed help, and they take advantage of people in tight positions...It's a shame that they do that." Predatory small-dollar lenders prey on financially insecure consumers by providing quick cash loans with punishingly high interest rates and fees, making them all but impossible to pay on time. Of the over 750 title lenders operating in Georgia, 74.4% operate in areas with poverty rates above the national average. These lenders have historically targeted vulnerable populations - such as lower-income Black and Hispanic communities and military servicemembers – consumers who may have low financial literacy and often live paycheck to paycheck. 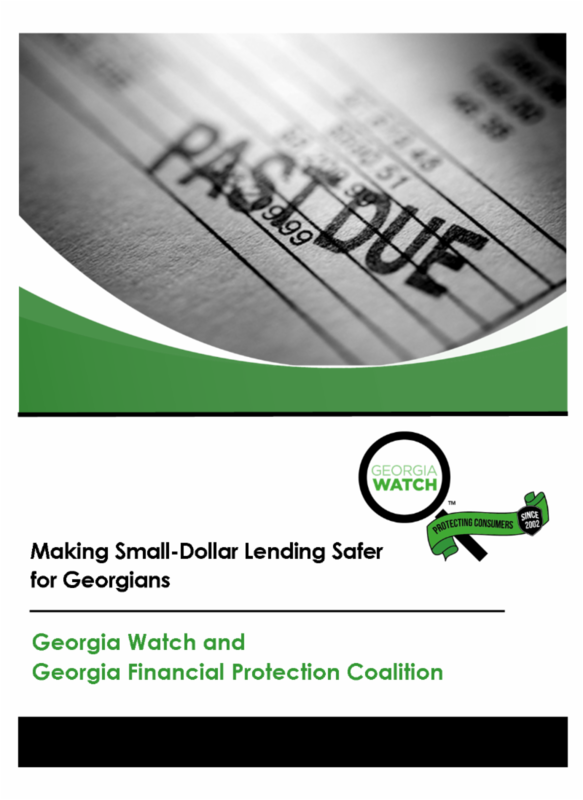 In conjunction with the 80-member Georgia Financial Protection Coalition, Georgia Watch produced " Making Small-Dollar Lending Safer for Georgians," a policy paper examining small-dollar lending practices in Georgia and recommending state-level policy changes. “We have an incredible opportunity to strengthen consumer protections in Georgia and ease the financial burdens of our most vulnerable by reforming our small-dollar lending laws,” said Beth Stephens, Senior Director of Public Policy and Advocacy for Georgia Watch. 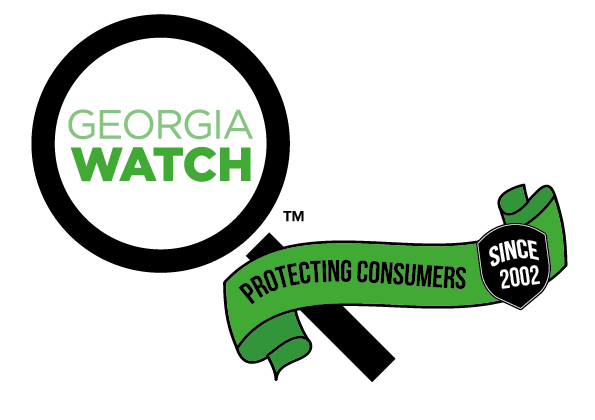 In coming months, you'll find out more about how Georgia Watch and the Georgia Financial Protection Coalition intend to fight for safer financial products for consumers in our state. Contact Beth Stephens, Senior Director of Public Policy & Advocacy, if you want to join the Georgia Financial Protection Coalition: bstephens@georgiawatch.org . You won't want to miss our annual celebration on September 27 at The Wren's Nest in Atlanta's Historic West End! 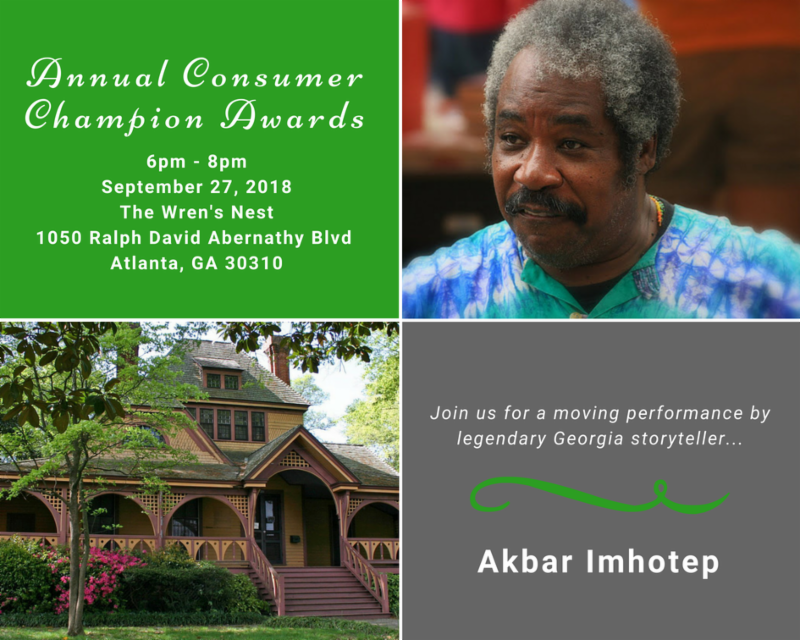 Join us for great food, drinks, and culturally rich entertainment by legendary Georgia storyteller, Akbar Imhotep. Help us recognize this year's amazing Consumer Champions! Sponsorship opportunities are available. Contact Liz Coyle at 404-525-1085 or lcoyle@georgiawatch.org for more information. Every dollar raised through the Annual Consumer Champion Awards Celebration helps us continue our advocacy and education work on behalf of Georgia consumers.